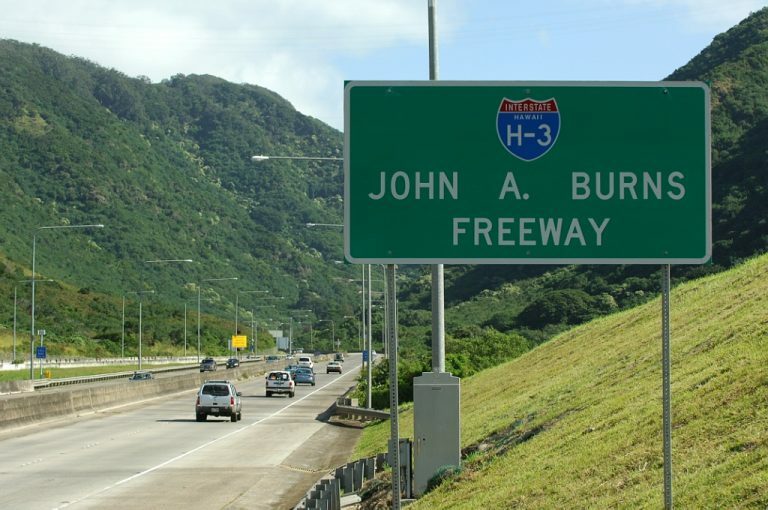 Interstate H-3 (John A. Burns Freeway) climbs east from Pearl Harbor toward the Mokapu Peninsula. Photo taken by Jeff Royston (01/30/06). Interstate H3 winds eastward from Aiea to the Marine Corps Base Hawaii (MCBH) on the Mokapu Peninsula. 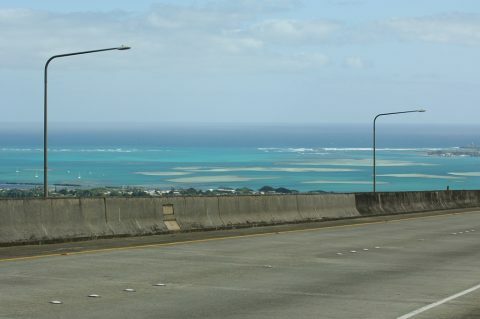 Constituting one of the most scenic routes along the Interstate system, the freeway provides a high-speed route across the Koolau Range between the leeward and windward sides of Oahu. Emerging from the tunnels, Interstate H-3 circles southward along the windward side of the Koolau Range. The freeway utilizes a high viaduct above Haiku Valley to the 690 foot long Hospital Rock Tunnel2 across the north slope of Pu’u Keahi a Kahoe Mountain. The first exit along eastbound follows to connect with the LikeLike Highway (Hawaii 63) north to Puohala Village. 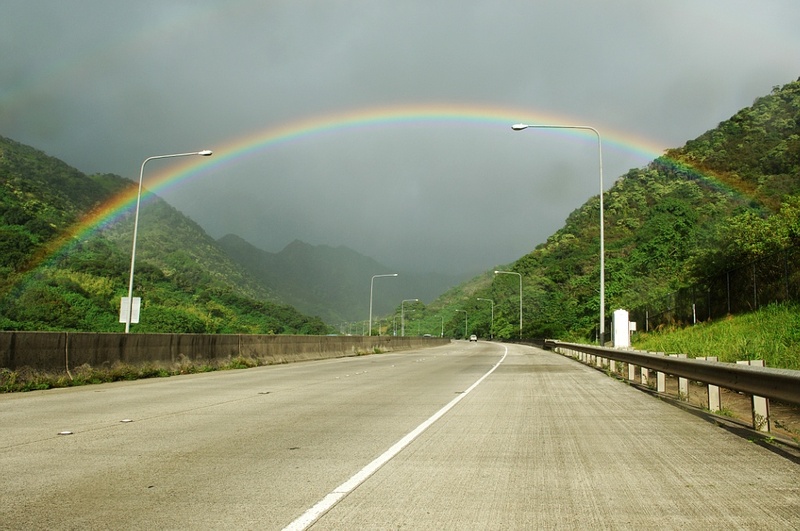 The remainder of H3 arcs east and north by Hoomaluhia Botanical Garden, a parclo interchange with Kamehameha Highway (Hawaii 83) and the Oneawa Hills at Mahinui. H3 concludes at the main gate to Kaneohe MCAS beyond a causeway between Nuupia Pond and Kaneohe Bay. 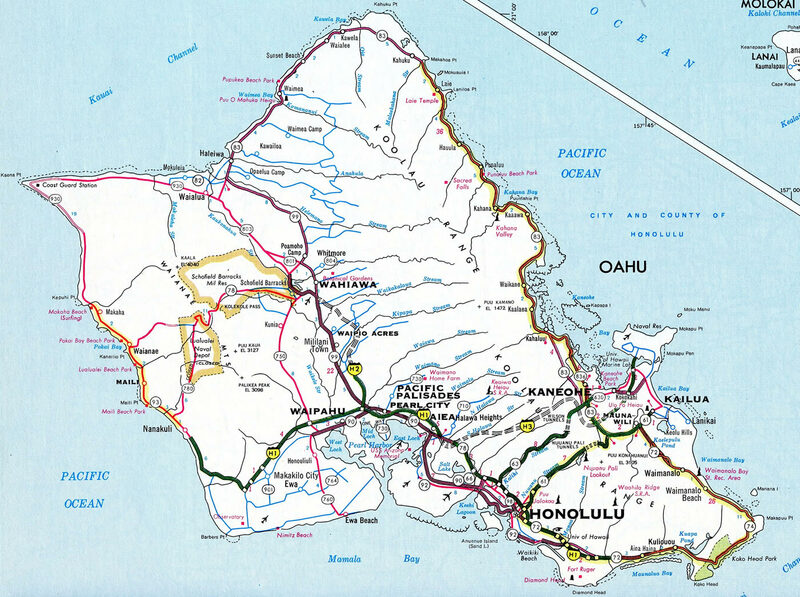 The 1975 Rand McNally North American Road Atlas was the first edition to show Interstate H-3 complete from Mokapu Saddle Road (Hawaii 65) north to the MCBH Kaneohe Bay. 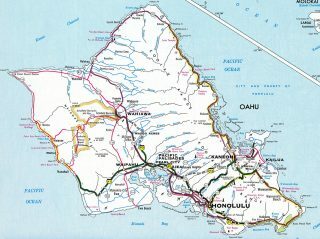 The 1983 Rand McNally atlas showed I-H3 extended southward to Kamehameha Highway (Hawaii 83) at Exit 11, while the 1982 Gousha atlas showed it already open. 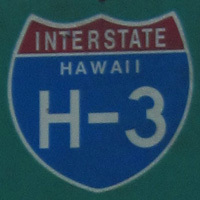 he third exit along westbound Interstate H-3 is for Hawaii 83. Hawaii 83 leads north to Kaneohe, Kahaluu, Hauula and Laie. There are two alternate routes to I-H3 through the Koolau Range: Hawaii 63 (Like Like Highway) and Hawaii 61 (Pali Highway). 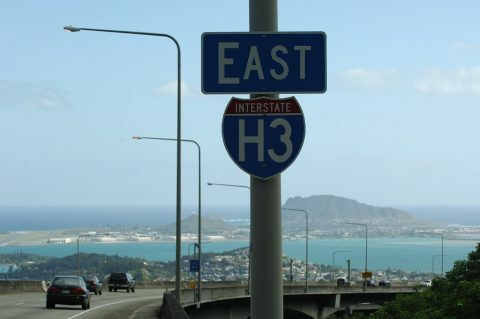 I-H3 meets Like Like Highway directly at the succeeding interchange while Hawaii 83 connects with Pali Highway west nearby. Photo taken by Jeff Royston (01/30/06). 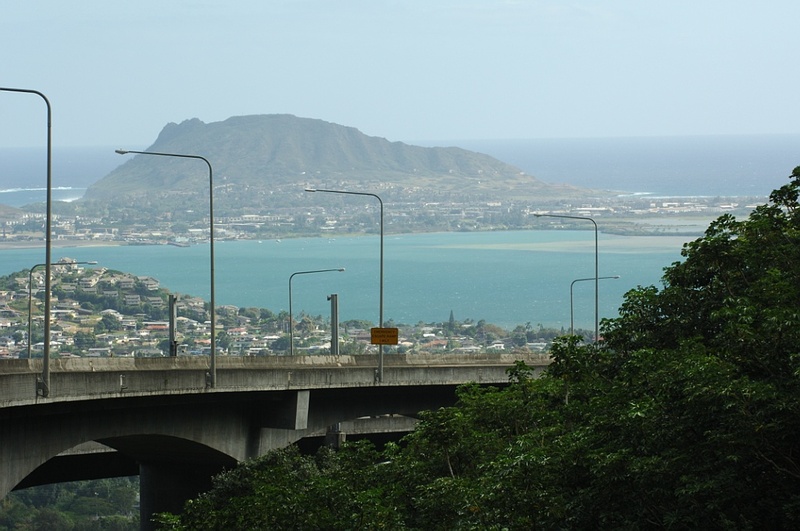 These views of Kaneohe Bay are afforded along eastbound Interstate H-3. Photos taken by Jeff Royston (02/05/06). 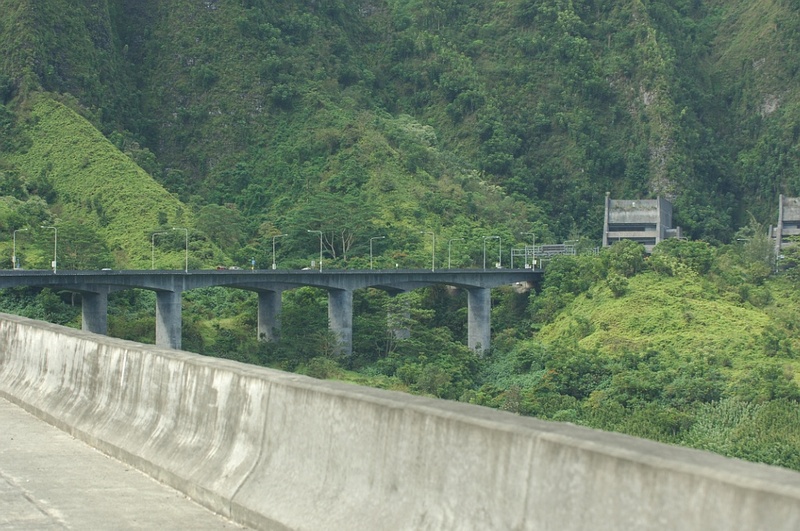 Looking west, Interstate H-3 ascends toward the Trans-Koolau Tunnels. Photo taken by Jeff Royston (02/05/06). 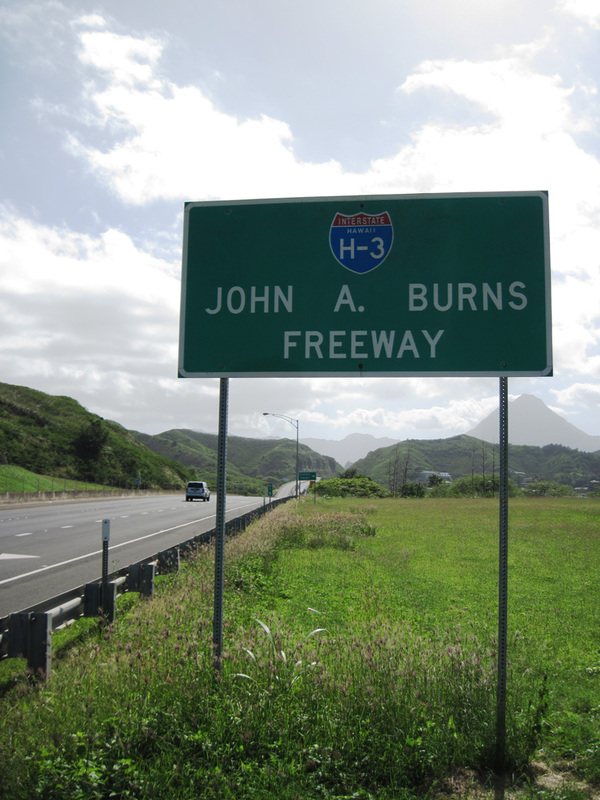 Posted after the Halawa Interchange, this sign designates Interstate H-3 as the John A. Burns Freeway. 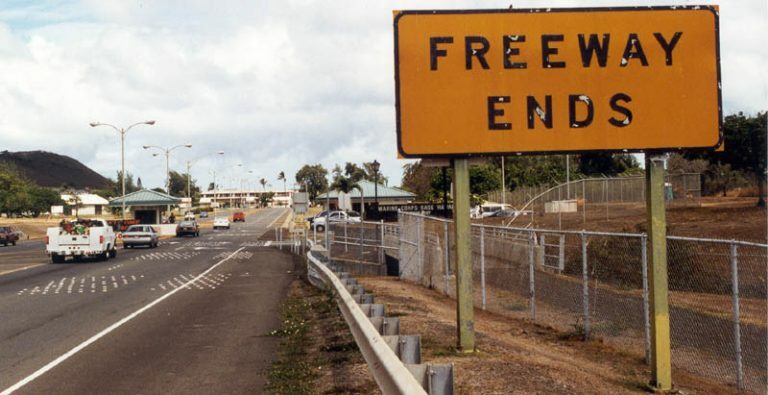 The freeway proceeds east toward the Trans-Koolau Tunnels. Photo taken by Jeff Royston (02/05/06). 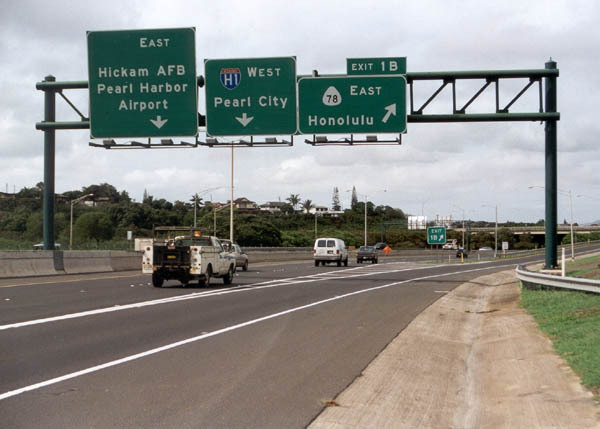 Westbound I-H3 ends at the Halawa Interchange with Interstate H-1 and Interstate H-201 (former Hawaii 78) in Honolulu. While I-H3 ends at I-H201, westbound traffic can continue onto ramps to I-H1 through the complex interchange. Photo taken by Oscar Voss (11/01). 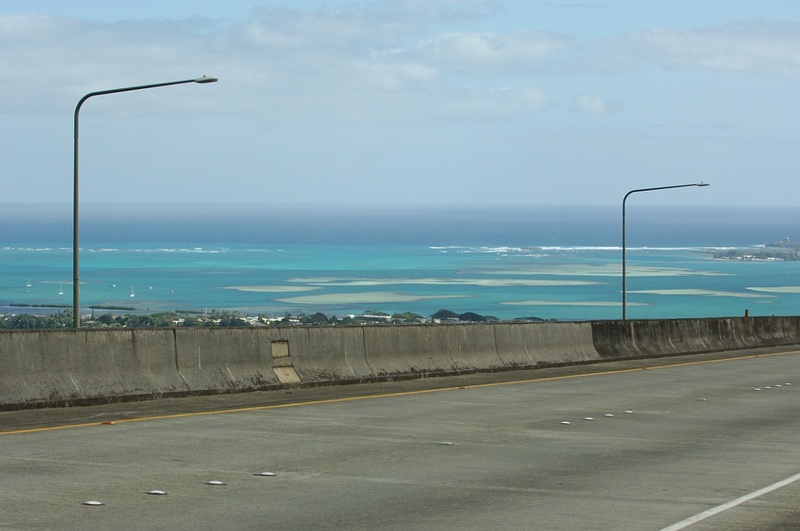 Upon leaving the Kaneohe Marine Corps Base Hawaii, Interstate H3 begins along a causeway with a 35 mile per hour speed limit. Exit 15 departs ahead for Kaneohe Bay Drive. Photo taken by Jeff Royston (01/30/06). 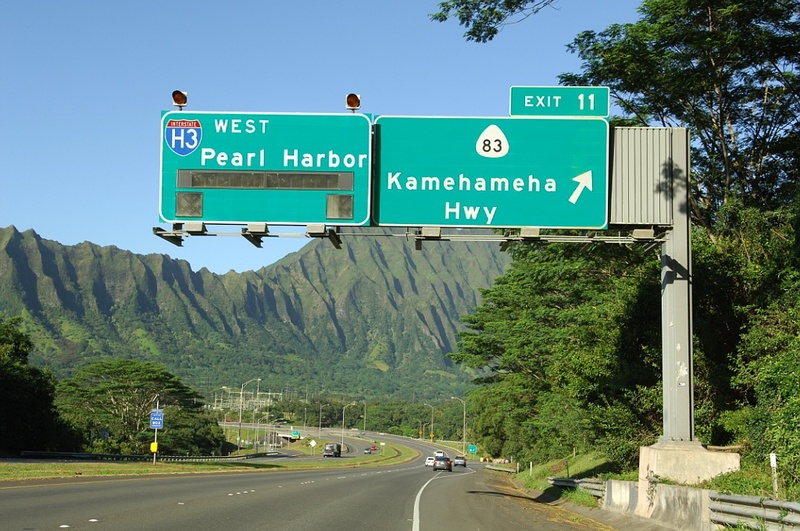 Eastbound Interstate H-3 ends at entrance to the Kanoehe Marine Corps Base Hawaii. A turnound precedes the gate. Photo taken by Oscar Voss (09/99). 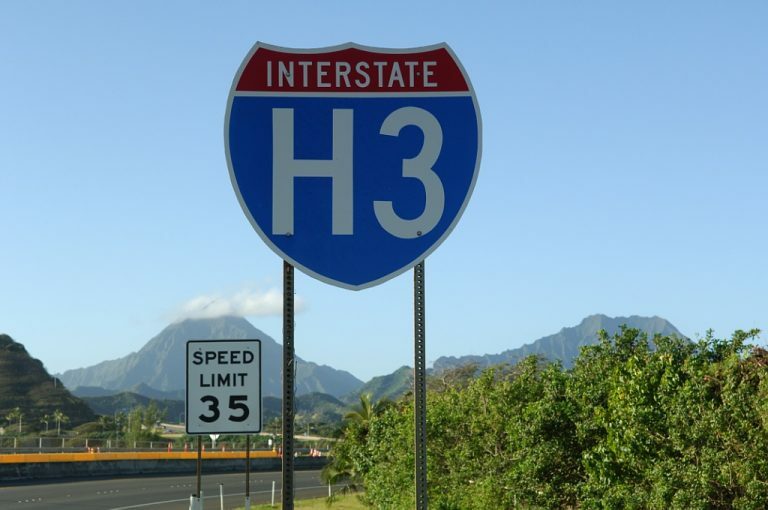 Hawaii Department of Transportation: Interstate H-3 http://www.hawaii.gov/dot/publicaffairs/h-3/. Page updated July 8, 2015.